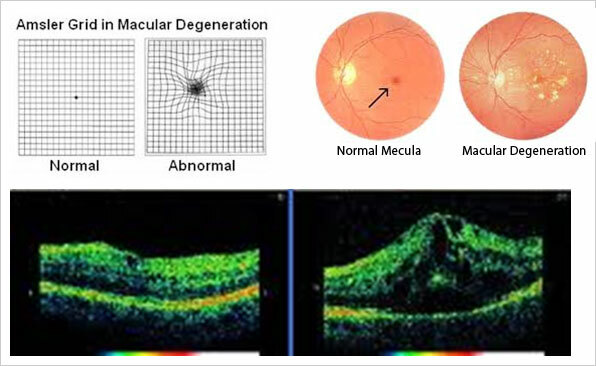 Macular degeneration, often age-related macular degeneration (AMD or ARMD), is a medical condition that usually affects older adults and results in a loss of vision in the center of the visual field (the macula) because of damage to the retina. It occurs in "dry" and "wet" forms. It is a major cause of blindness and visual impairment in older adults, afflicting 30-50 million people globally. Macular degeneration can make it difficult or impossible to read or recognize faces, although enough peripheral vision remains to allow other activities of daily life. Although some macular dystrophies affecting younger individuals are sometimes rarely referred to as macular degeneration, the term generally refers to age-related macular degeneration (AMD or ARMD). The retina is a network of visual receptors and nerves. It lies on the choroid, a network of blood vessels that supply the retina with blood. I Had No Vision In My Left Eye For Which I Have Taken Treatment Even In Usa Within One Month I Got Back Vision In That Eye With The Eye Exercises And Acupressure. I Came With Enormous Eye Problems, Myopia (-26.00dp), Glaucoma, Cataract And Retinal Problems. My Dr. In Usa Were Saying To Go For Surgeries. i Was Afraid Of Any More Surgeries, Because Of Previous Surgeries I Lost Vision In My Left Eye. now I Can Continue Living My Normal Life As Usual And This Help Me In My Work. i Highly Recommend Vision Yoga To Any Eye Problems. First Of All Let Me And My Family Thank You From The Bottom Of Our Hearts. I Got Amazing Difference In My Eyesight After Finishing Course Of One Month. I Am Continuing It And Will Come To You Again After Four Months. following Is My Experience During Last 30 Years, (today I Am 38 Years Old), I Don't Want To Hold Anything And Would Like To Expose It So That Society Can Gain Something Out Of It. when I Was 10 Years Old, My Head Was Paining Heavily Every Day. Mother Was Taking Me To Different Doctors But No One Could Diagnosed Eyes Issue. When The Situation Was Out Of Control, Once Doctor Given Guidance On Eye Check-up. Found It And Got Minus 5 Number. (today My Number Is -17.50) Then After Every Year Number Was Increasing And Every Popular Doctors Was Saying "can't Do Anything" As The Age And Height Increase, Number Will Increase. No Treatment To Eyes For Almost 30 Years. one Day I Asked My Ophthalmologist That, I Am Very Scared That I Will Be Blind In Future (that Time My Number Was Minus 10). He Told Me That, Do Not Worry There Are Numbers Till 30. So Strange Answer From The Part Of Doctors!!! Who Always And Must Give Right Guidance To Patients. Other Ophthalmologist, I Asked The Same Question, Said Use Semi Soft Lenses, Number Will Be In Control. Accordingly Used Lenses For 16 Years. Number Never Stopped Increasing. 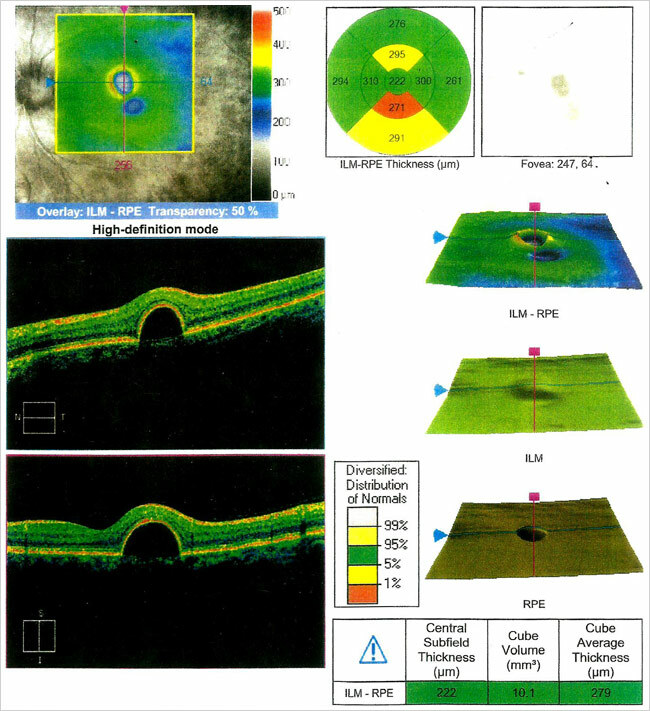 in 2005, I Was Getting Some Small Vision Issue In Right Eye Approached Specialist. He Checked And Said Number Is High But Retina Is Ok. No Holes In It, No Need To Do Anything. I Asked Then Why There Is Some Issue. He Said No Worry This Is Because Of High Number. I Was Quite And Was Busy In My Day To Day Lifestyle. This Issue Was Troubling Me Every Month Then-after. I Approached To My Regular Ophthalmologist And Shared These Things Not Less Than 10 Times. He Kept On Checking My Right Eye Number And Tried To Change My Lense On The Ground Of -0.25, -0.50 Etc Numbers. I Used To Change My Right Eye Lenses Every Quarter And Changed Lense Number 4 Times In A Year. This Has Happened Just Because There Were No Knowledge To Me And There Was No Right Guidance From Doctors. At Every Steps With Doctors, Spect Shops And Lenses Shops, I Discovered - They Are Only Concern For Their Routine Daily Business. One After One Patient Comes And Go, It Is Their Routine Business Like Targeting Their Sales Volume. Serious Issue For Society To Think About. in 2012, Approached Another Eye Specialist For Increased Right Eye Issue. He Checked Retina, And Said No Issue, This Is Because Of High Number. I Was Not Ok With The Answer In All My Sense. Again I Approached The Same Specialist And Requested Him To Please-please Check My Eyes Thoroughly. He Then Checked It And Found Pvd Issue. I Asked What This Is. He Said This Not A Decease And Go For An-geography For Both Eyes. I Have Done It Immediately And Found Md In Right Eye. Doctor Said, Right Eye Can't Do Anything. Damaged!! Go For Laze-ring In Left Eye Because Of Pvd Issue. I Left That Doctor And Went To Very Senior Specialist In Grant Road. They Done Laze-ring To My Both The Eyes In Jan 2013 With Suggestion To Go For Avasthin Injection In Right Eyes Costing Rs. 75,000/- i Asked Many Questions To Doctors, Can I Save My Right Eye, Can I Do Yoga, Can I Start Auyrvedic Treatment. The Only Answer I Received In Marathi " Garaz Nahi, Kahi Nahi Hou Shakat", Come To Us When There Are Acute Flashes In The Eyes. my Bad Days Started From Jan'13. I Was Not Having Any Option Left To Save My Eyes. Continuously Myself And My Family Were Crying For Almost 10 Months. I Lost My Job In This As Well. Lost Weight By 6 Kgs. I Have Decided That I Should Not Live To Burden On Others. I Have Made My Mind And Made Death Letter And Given To My Elder Brother And Brother-in-law. Situation Was Worse Day By Day. hats To My Wife First And Family Members For Moral Support Including My Mother, Brother (insisting Yoga) And Sister. My Wife Has Done Everything For Me To Save My Eyes. Since Early Morning Till Late Night She Was Doing One Thing Or Other Things For Me. She Made Me To Do Auurvedic Panchkarma, Every Morning Walk, Sweetemblica Juices, Heavy Salads And Fruits No Sweets Etc-etc. She Was Searching Yoga In This Period. finally We Got To Know Doctor Viram Agarwal's Vision Yoga. On The Same Day Of Our Appointment, Doctor Assured Us That I Can Save My Eyes And There Will Be Improvement. Vigorously I Was Doing Yoga For One Month. I Was Very Stressed During Yoga Time As Well As I Was Not In Myself. I Could Not Gave Much Attention To Doctors Lecture Which I Intend To Join Again. Just Before 4 Days Of Finishing The Yoga, I Told My Wife That, Objects Are Getting Clearer To Me Than Previous. It Was True, When Doctor Viram Checked My Eyes Last Day Of The Treatment. I Could Get Minus 16 Number (1 Number Less) In Both The Eyes In Just One Month. I Will Be Keeping My Yoga On And On And Will Attend The Doctor Every Year. Hats To Dr. Viram Agarwal. there Are Many People Like Me In This World Who Are Not Aware To Whom I Wish To Throw Message To Adopt Yoga Soonest The Possible. i Want To Ask Doctor Viram Agarwal - Can I Save My Right Eye (wet Md) Till The End Of My Life? Even Though I Am Working On Laptop For 8 Hours Everyday? As I Got Answers From Doctors It Will Not Get Saved At Any Cost. he Said Yes, Thanks To Doctor Again. yours Truly, rajesh Chavan & Family. The Eye Exercises Design By Vision Yoga Is Really Very Scientific And Well Designed For One And All. The Experience Was Very Nice, Staff Very Cordial And Co-operative. The Facilities Available At The Centre Are Very Good. 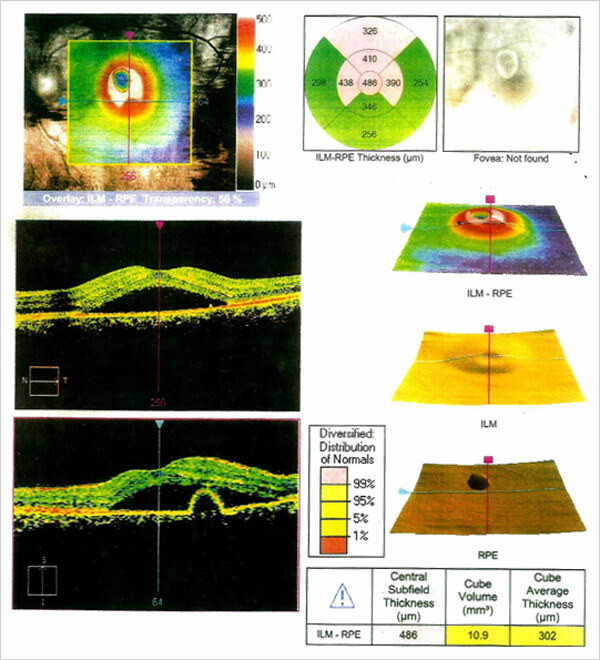 With A Very High Myopia And Also A Problem Of Macular Degeneration, The Results Are Really Very Good. With The Simple Eye Exercises, With Very Simple Objects, Got Amazing Results. My Eyesight In Left Eye (was Suffering From Csr) Has Improved To A Great Extant. Most Impotently I Have Gained My Lost Confidence. Staff Is Very Dedicated And Very Helpful. Love Them All. I Had Recommended Vision Yoga To Many Of My Acquaintances So That All Can Be Benefited. Thanks Dr. Agrawal, Dolly, Priti, Mansi, Jyoti, Vidya For All Your Support And Guidance.